App store reviews have always overwhelmed mobile app marketers. In a market which is hugely influenced by app ratings, anything lower than a coveted five star status is usually not accepted. App ratings mixed with bad reviews can make any app business bleed. Hence, it will be stupid to say that they don’t matter! Favorable ratings and reviews are a must for any app business since it strengthens an app’s position, motivates word-of-mouth and increase installs. Even after considerable knowledge around how to achieve positive reviews and ratings, app marketers often miss out in maintaining sanity around this aspect of the business. As part of our #AVExpertTalk series, we take a lot of pain in reaching out to mobile marketing experts, who have mastered one or many aspects of this business. In our second interview, we’ve reached out to someone who made an app overnight and achieved 2 million downloads with it! 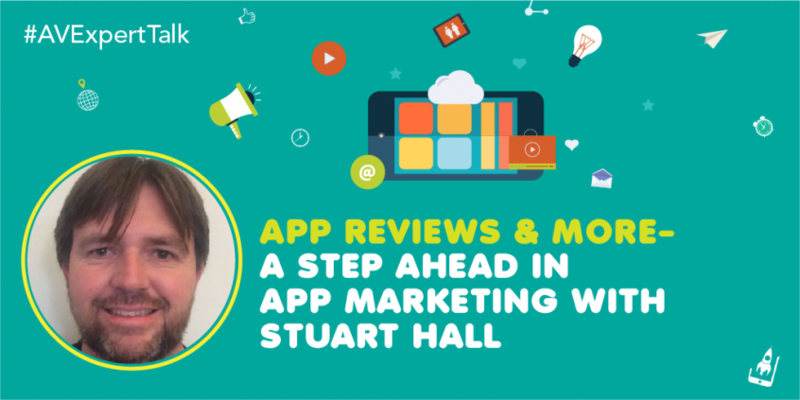 Stuart Hall is the Founder of AppBot– a tool that helps app marketers in managing app store ratings and reviews. This wonderful tool has helped numerous apps such as Tinder, Shyp, Dropbox and Pinterest in nailing this crucial aspect of app marketing. Before spearheading Appbot, Stuart has spent numerous years as a developer and has more or less triumphed this space. Amongst the many achievements under his belt include the one above and many that we would highlight in the course of this interview. In this interview, Stuart talks about app reviews and other things that every app marketer should follow. Let’s begin by understanding Appbot and the thought process behind its creation? Our mission is simple: we exist to help Product teams and developers build better mobile apps that their users love. We make sense of review data from the major mobile app stores by aggregating, clustering and analysing customer sentiment about your apps, and those of your competitors. I have built several apps that reached millions of users and wanted to make sense of the amazing information provided in reviews. Most app marketers struggle with app reviews. Where do they go wrong the most? I believe that most under estimate their importance. App reviews and ratings have a significant influence on top charts and search rank. They also contain really valuable information such as feature requests, bugs and competitor information. User acquisition is tricky for app developers. Your two cents of advice on the same. I’ve written about this quite a bit before in the articles, that can be read here and here.I believe it comes down to creating an amazing app that people want to share and become your evangelists. Creating an amazing app involves getting close to your users as soon as possible to build and refine what they want. You’ve written a remarkable piece on marketing an app without spending a cent. What according to you is the biggest lesson here? I believe it’s two thing. 1 – make an app that people want, not what you think they want. 2- stories sell, sell the benefits not the features. Formulating a good app marketing strategy requires trial and errors. Is there an interesting case study that has hooked you? 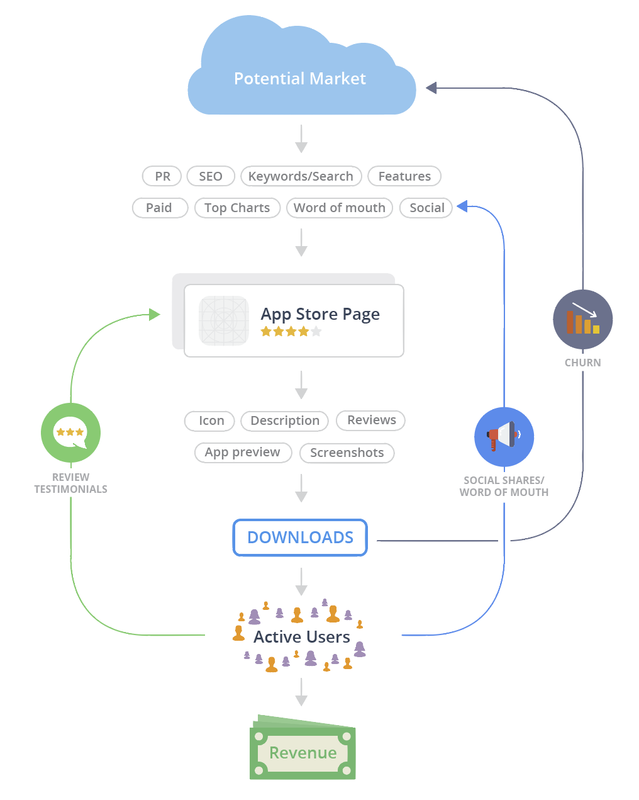 How should an end-to end app marketing plan look like? What are the key factors behind the success of an app? What tips do you have for Indie app developers, given your vast experience? Start small and validate their is a demand for your app first. Spending too long building something that nobody ones is a hard lesson to learn. How important/relevant is word-of-mouth for user acquisition? What’s your take on In-app referrals? Word of mouth is critical. My opinion is that word of mouth works when you have a wow moment that makes people want to lean over and show their friend. In your opinion, what’s the best growth hack/s for an app business? Listen and reading app reviews. They are so important to your ranks and contain keys to what your users want. What advice will you give to mobile focused start-ups? Write your story first. Know your unique selling point and benefits before you start coding. It is never enough when it comes to your app. Apart from the tips above, you may want to indulge in this E-book by Stuart where he explains “his obsession with the app store”. You can download the E-book here. We also recommend Stuart’s famous AMA with Growth Hackers, which is full of actionable insights. Have a question for Stuart? Connect with him on Twitter or drop a line below. Mobile Marketing Funnel Has Changed-Here’s Why You Should Change Your Tools Too!